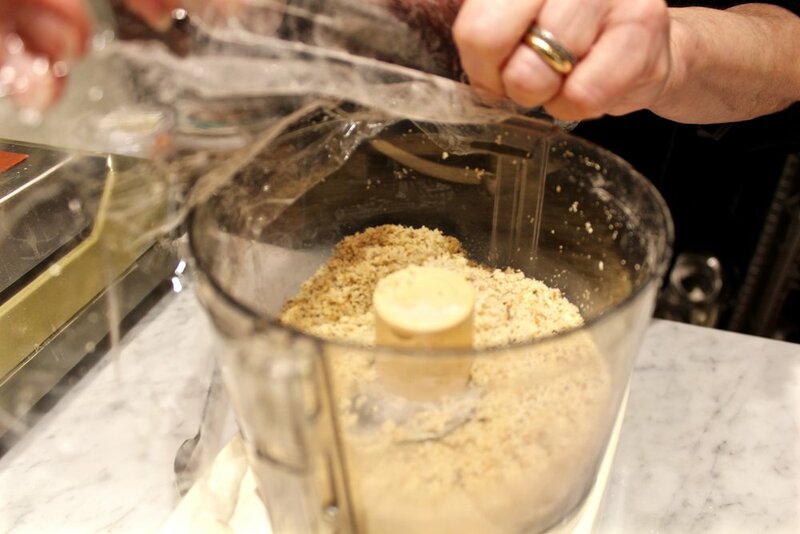 If you are food processing a mixture without requiring the addition of ingredients through the feed tube, you can cover the top of the processor’s bowl with a piece of plastic wrap to extend over the bowl’s rim. 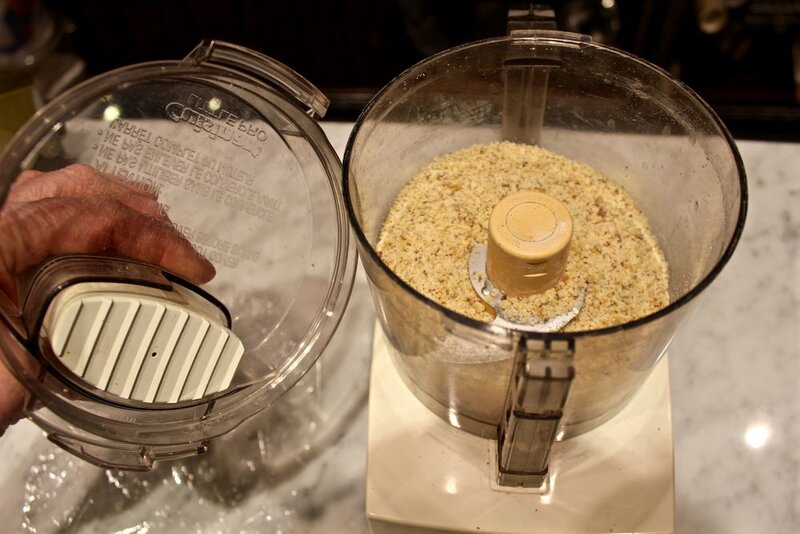 This will save you time, not having to clean the cover and feed tube, plus letting you scrape off any splattered mixture on the plastic wrap back into the bowl. 1. Cut a piece of plastic wrap that will extend a couple of inches over the rim of the food processor’s bowl and drape it across the bowl’s top. 2. Attach and lock the processor’s cover over the wrap to keep it taut. 3. Scrape any splattered on mixture back into the bowl. 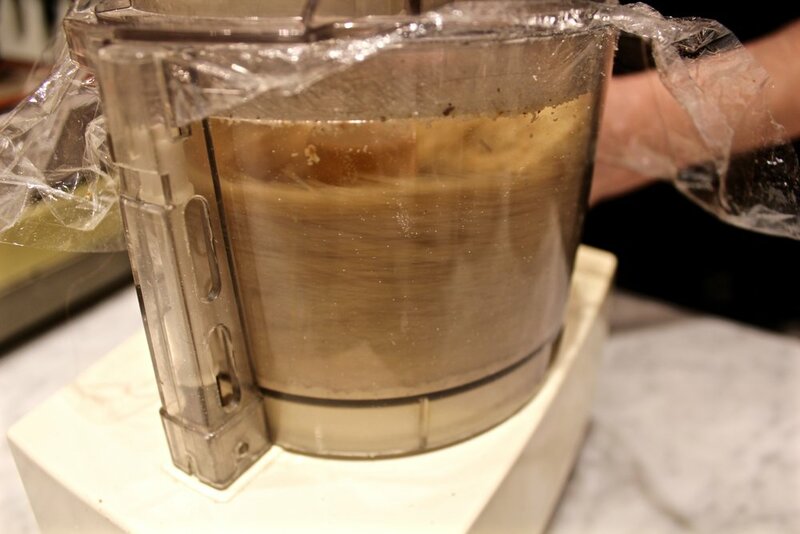 Be careful to keep the plastic wrap from wadding up in the locking mechanism that is also the trigger for the food processor’s power switch.